Titanfall 2 was a brilliant game, and EA obviously thinks so too. It's just splashed out and bought the development studio that created the game, Respawn. The deal will cost EA a massive $151 million in cash, and up to $164 million in stock. 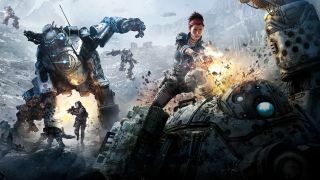 Right now Respawn is hard at work on a few different projects, a new Titanfall game, an unnamed VR combat project due for release in 2019 and a "third-person action adventure game set in the Star Wars universe." "While it wasn’t necessary, going with EA made a lot of sense," he explains in a blog post. "With Titanfall and Star Wars, EA has been a great development partner that supports us and doesn’t interfere with our process for making games or studio culture. EA will provide us with more resources, access to new technologies, and expertise that we can tap into to that will help us make better games, and Respawn will retain the same creative freedom and culture we’ve always had." He also promised the games Respawn is currently working on "are continuing as planned," and the deal wouldn't lead to any job cuts, which is often a hazard of these big deals. "This decision was made because it’s the best way to get Respawn the resources, support, and knowledge we need to achieve our long term goals," the blog post continued. "We will still have creative freedom to explore new IP’s and will work with EA’s studio leadership to plan future projects."